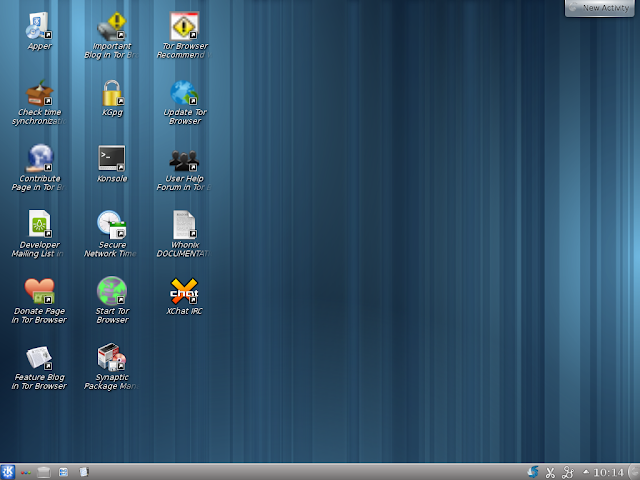 Whonix is a desktop operating system designed for advanced security and privacy. It realistically addresses attacks while maintaining usability. It makes online anonymity possible via fail-safe, automatic, and desktop-wide use of the Tor network. A heavily reconfigured Debian base is run inside multiple virtual machines, providing a substantial layer of protection from malware and IP leaks. Pre-installed applications, pre-configured with safe defaults are ready for use. Additionally, installing custom applications or personalizing the desktop will in no way jeopardize the user. Whonix is the only actively developed OS designed to be run inside a VM and paired with Tor. 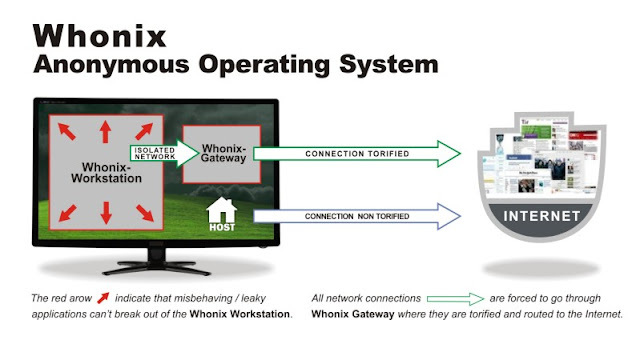 Whonix consists of two parts: One solely runs Tor and acts as a gateway, which we call Whonix-Gateway. The other, which we call Whonix-Workstation, is on a completely isolated network. Only connections through Tor are possible. With Whonix, you can use applications and run servers anonymously over the internet. DNS leaks are impossible, and not even malware with root privileges can find out the user's real IP. Investigators and whistleblowers whose work threatens the powerful. Within an isolated environment, research and evidence can be gathered without accidental exposure. Researchers, government officials, or businesspeople who may be targets of espionage. Anti-malware and anti-exploit modifications lower the threat of trojans and backdoors. Journalists who endanger themselves and their families by reporting on organized crime. Compartmentalized, anonymous internet use prevents identity correlation between social media (and other) logins. Political activists under targeted surveillance and attack. The usefulness of threatening the ISP in order to analyze a target's internet use will be severely limited. The cost of targeting a Whonix user is greatly increased. Average computer users in a repressive or censored environment. Easy Tor setup (and options for advanced setups) gives users in repressive countries full internet access desktop-wide, not just in their browser. Average computer users who simply don’t want all or some aspect of their private lives uploaded, saved, and analyzed. Whonix does not silently upload identifying information in the background.